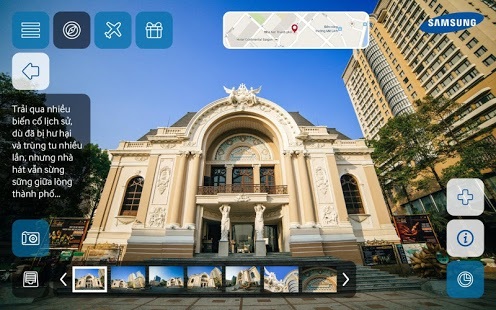 Samsung Electronics Vietnam Co Ltd has launched “Culture Explorer- Vietnam”, a new mobile application to facilitate understanding and appreciation of specific destinations across Vietnam via location technology of Google maps. The application will help users explore Vietnam’s natural landscapes, architectural structures as well as interesting information about the cultural heritage across the country from a new perspective. It is a result of a long-term cooperation between Samsung and its strategic partnerships, especially the Tourism Information Technology Center (TITC) underthe Vietnam National Administration of Tourism (VNAT). “Culture Explorer –Vietnam” application is compatible with smartphones and tables using Android operating system. Users can download free the application from Google Play Store and Galaxy Apps.